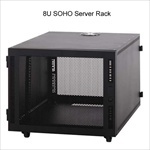 Sleek, compact, robust, and mobile SOHO server racks are specially designed for small business, home office, or IT professionals who want more than the bare minimum. 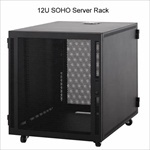 SOHO server rack features locking lift off front and rear mesh doors, casters, adjustable rails (with universal mounting holes), and plenty of venting. 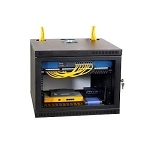 Low profile compact series SOHO Server Racks are perfect for any environment. 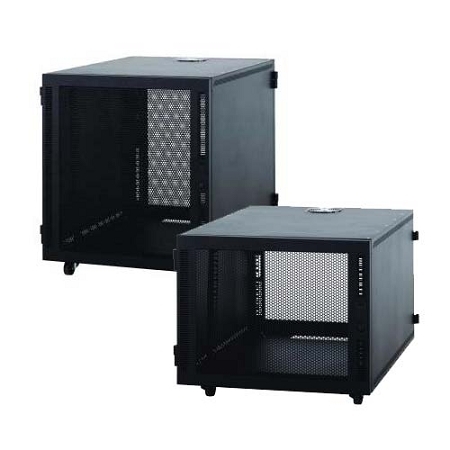 If you don't have space for a server room full of tall racks, if you only have just one or two servers and don't want to waste valuable office space, then the Compact Series SOHO Server Rack is perfect for you. 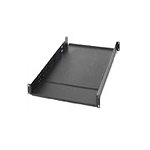 This rack fits under your desk, and may act as a desktop rack for your servers and essential rack mountable items. Rail Depth (adjustable) 3" to 29"